When I was a little girl, I used to lie my way out of swimming lessons. West Neck Beach, on Long Island, had cold water, and lessons inevitably happened during low tide. I hated both the smell and the feeling of the slimy rocks at the water’s edge. And once in the water, I hated the small, translucent jellyfish that always seemed to know it was time for me to learn and that gathered at the shore to invade my lesson. Swim lessons, to me, meant bored teenagers trying to get me to blow bubbles while they held me in a floating position. It meant too many kids in one group, getting splashed when I didn’t want to, water up my nose, and a general feeling of being out of my comfort zone. Most frustrating to me, lessons meant being categorized as part of a swimming hierarchy where everyone knew it was better to be Shark than a Minnow. Swimming was something done by athletes, those kids who were meant to be Flying Fish and who never had to suffer the humiliation of being a Polliwog or Guppy. And I was definitely a guppy. And so, I feigned illness time after time. Stomachaches, headaches, earaches, colds – I had an entire repertoire of excuses. At the same time, I loved the water. I loved time spent at the ocean. I loved jumping the waves. I loved water skiing, and taught myself to dog paddle well enough to do that. I could spend hours at the beach, body surfing, playing in the water, and enjoying the way the water took me away from the every day and simply let me relax. I was a beach girl, for sure. In my mind, I was not, nor would I ever be, a swimmer. Swimmers were different creatures. They were the kids who weren’t embarrassed to be seen in bathing suits. They got up at ridiculous hours to get in the pool before school started. They spoke in a language I couldn’t understand. They certainly weren’t me – the kid who didn’t make the 7th grade field hockey team and who got shin splints within two weeks of attempting to run track. By the time I got to college, I was a dedicated non-athlete. Sports were for others. Until, well, something changed. First, my car broke down and I realized that if I wanted to get to school each day, I’d have to ride a bike, an inexpensive, generic mountain bike that felt like it weighed 600 pounds and that brought me to tears the first time I rode to school. Because I had no choice, I rode it a second time and a third, and after some time, it was tiny bit easier. Eventually, I could ride to school without stopping on the long uphill that led my campus. I got winded, yes, but I could do it and that simple act made me recognize that moving my body felt good. I loved the afterglow of pushing myself and knowing that I could. I started to take P.E. classes at college, riding my bike more and more, and eventually, thinking about starting to run. To run! Who would have imagined!?! All the while, I held on to a secret dream. Despite my years of non-athleticism, I had always imagined that one day, I would do a triathlon. I don’t know why or even where the idea came from. But it was there, and as I started to learn that my body could actually do things when I pushed myself, the idea began seem more and more important. A few years passed and I was now becoming an addict. I ran my first 5k, then realized that wasn’t enough for me and started to run even more. I upgraded my bike to a slightly lighter mountain bike and started riding at 5:30 in the morning, in the dark, because that was what worked for my post-college schedule. I returned to school, seeking a graduate degree, and became one of those people who goes running during lunch instead of hanging around the graduate assistant break room. Then, I rode my bike home at the end of every day, now doing so with ease and thinking about the kind of bike I might like to get next. Then, I took a leap. In the Spring semester of my first year in graduate school, I signed up for a swimming class. Beginning Swimming. Swimming 101. Swimming for non-swimmers. Swimming for people who never thought they would take swimming. And I was terrified. Now, not only was I older, but I had been away from the water for years. Yes, I had learned to love exercise but by no means did I consider myself an athlete. Still that insecure guppy, I was certain the class would be filled with would-be Flying Fish. The first day, I debated dropping the class before I even went. Why was I doing this? What was to be gained? Just keep running. Don’t worry about this swimming stuff! But I went. And so did others. Wrapped in towels on the pool deck because almost all of us were too embarrassed to show ourselves in swimsuits, we huddled on the bleachers to hear from our instructor. We were a collection of guppies, one man even arriving with wood shop goggles because he didn’t know what other kind of goggles the course description could have meant. And here’s the thing: This time, I LOVED it. Yes, the water was still cold. It still went up my nose. I still had no idea what I was doing and the other end of the pool looked remarkably far away. But my instructor, Joanna, was patient and kind. She worked with each of us in the ways that worked best for us, from the shop goggle guy who needed almost the entire semester to swim across the 25-yard pool, to the woman who had actually been on her high school swim team and was looking to refresh her swim memory, to me, a non-swimmer but willing to give it a go. By the end of the semester, I was coming to class early, getting into the unused lane available during the water aerobics class Joanna taught before our session. And I started to come to the pool on days I didn’t have class, Saturdays and Sundays arriving for lap swim hours, and on weekday mornings, arriving at 5:30 like those Sharks I knew so many years before. I graduated, moved East and in Western Massachusetts, immediately sought out a place where I could swim. I took a knitting class where I met a student who, like me, had always wanted to compete in a triathlon. We started to train together, meeting at the YMCA each morning for a swim before we took off on our bikes or went for a run. And I did that first triathlon, and then another, and then, another. Did I have work to do on my stroke? Yes. Absolutely. It wasn’t pretty, and I knew it, but now, unlike those times when I lied to get out of lessons, I wanted more instruction. I wanted to keep learning because the swimming was now about me and not about something forced upon me. One day, at my local bike store, a friend mentioned that there was a swim team starting at one of the local colleges. Again, my insecurities surfaced. It was sure to be a team of former college swimmers, wasn’t it? A pool full of sharks where I would be a guppy again. Except that it wasn’t. It was a welcoming environment, a swim team with members of all different abilities who simply loved the water. It didn’t hurt that the coaching was excellent. (And continues to be.) 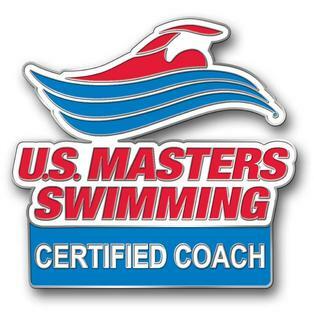 Under the guidance of my fantastic coaches, I was now a Masters swimmer – a member of a team! A Flying Fish perhaps? At the very least, I was learning, moving from one lane to the one just a little bit faster, and then the other after that. I even started to call myself a swimmer! 8-mile swims across Lake Champlain and 10-mile swims in Lake Memphremagog. Open water weekends with back-to-back events. St. Croix again and again. Finding pools all over the world and swimming in South Korea, Vietnam, Japan, Belize, Costa Rica, and anywhere the water will have me. Swimming went from something to be avoided to something that is an integral part of my everyday life. Now, it makes me a better parent and spouse, it makes me understand patience and hard work, and has made me more confident in so many areas. As an instructor, the memory of my first swimming lessons is always with me as a reminder of what I don’t want people to feel. Alone, scared, overwhelmed, and thrown into a situation where I had no control. And the memory of my second swimming lessons, the ones it took me until adulthood to find, guides my teaching. 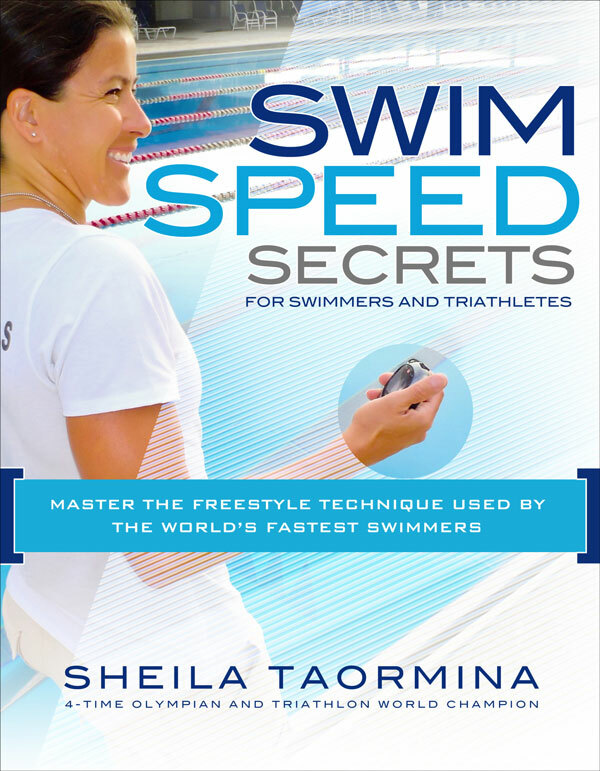 Swim instruction should not be about a formula kids and adults get plugged into . It should not be about being a guppy or a shark. It should be about learning to love the water, working from where you are and choosing where you want to go. It’s a swimming philosophy I live by and which guides my teaching and learning because, yes, I will always have things to learn in the water. Whether your goal is swimming from one end of the pool to the other to pass your summer camp swim test, refining your freestyle in the hopes of doing open water, or simply learning not to be afraid, my job, as your instructor, is to help you get there.